Washington Park LIVE! Entertainment 2014 - Washington Park Association, Inc.
Get a taste of the musicians who will play at WP LIVE! this year. 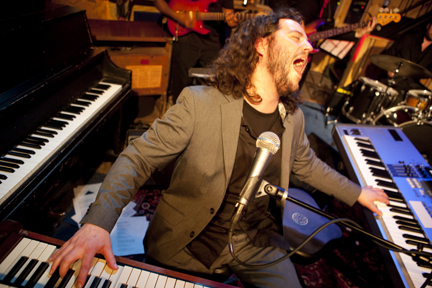 Jeremy Beck and The Heavy Duty Horns What happens when NYC singer/keyboardist Jeremy Beck teams up with The Heavy Duty Horns lead by Tenor Saxophonist, Justin Flynn? A funk/rock B3 explosion happens!!! Doing original versions of music from the 60s and 70s, Flynn's "heavy" horn arrangements are the perfect compliment to Beck's soulful and soaring vocals. It's Fresh, it's Fancy and it's definitely Funky! Jonathan Fritz is a passionate stage performer and sought after session guitar player from New York City. 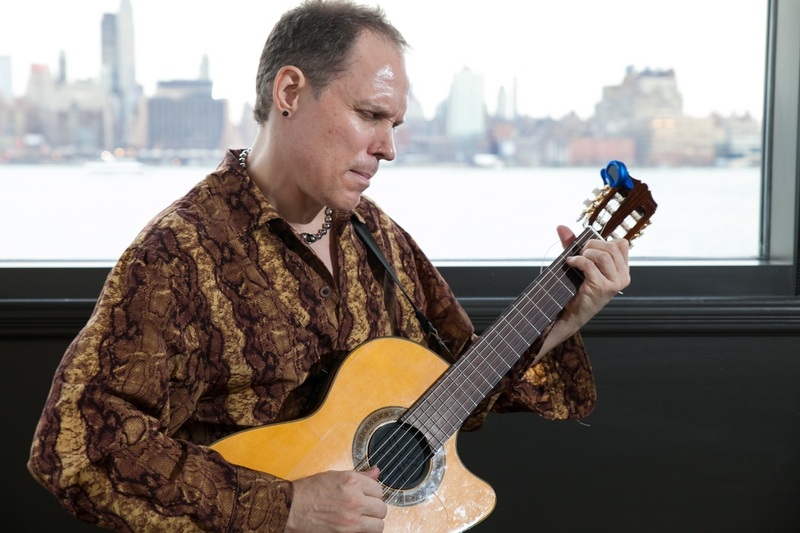 As a self taught player he has mastered many guitar stylings including Latin, Nuevo Flamenco, and Passionate Nylon Guitar. Jonathan travels the world playing for a wide range of audiences. He has toured artists such as Lionel Richie and Richie Havens, and has played with people like John Mayer, Josh Stone, Gavin Degraw, Billy Joel, Van Morrison and Jimmy Buffet to name a few. 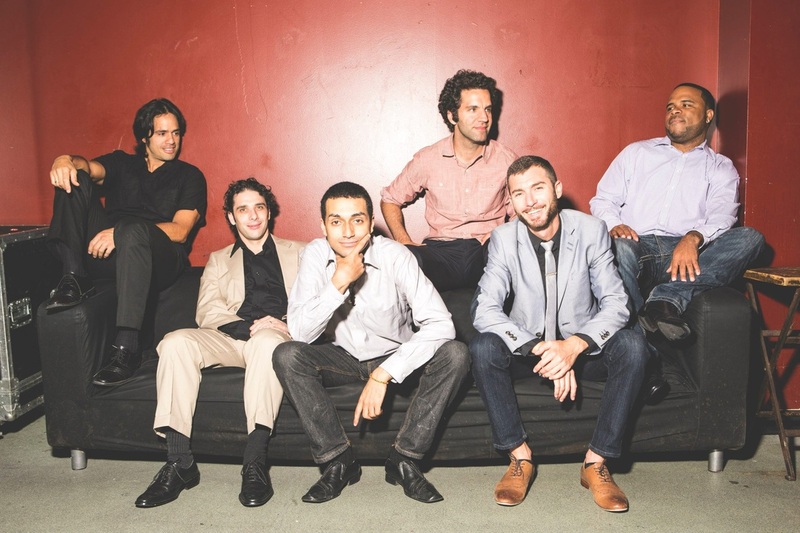 A band of only 5 musicians, Los Hacheros manage to sound like a conjunto of 12. Eddie Venegas plays trombone & violin and sings chorus, Itai Kriss sings, plays flute, campana, and guiro, while Jimenez is in charge of lead vocals and congas. William Ash holds down the tumbaos on baby bass while Jacob Plasse plays the tres, a guitar-like instrument originating from the Oriente Province in Cuba. Utilizing this unique instrumentation, Los Hacheros draw on son, charanga and salsa to create a sound distinctly their own. Los Hacheros debut album “Pilon,” out now on Chulo Records, was recorded live on a 388 Tascam tape machine. No computers, no headphones, no overdubs. Manouche Bag Jersey Cityʼs preeminent french gypsy jazz band. Led by Mattias Gustaffson, perform as the house band at Madame Claude Cafe every Thursday evening. Performing an eclectic mix of originals, Django Reinhardt and Serge Gainsbourgh have brought their unique musical sense of humor all over the country. Slavic Soul Party! 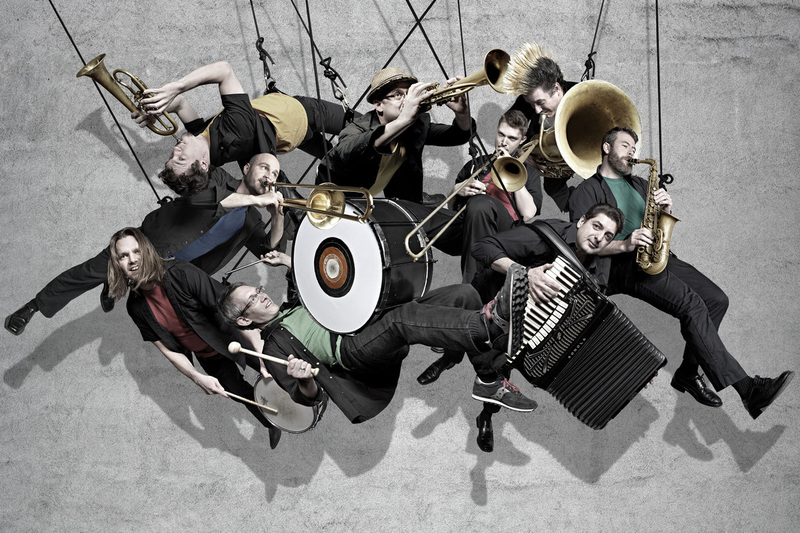 "Throbbing funk grooves, fiery Balkan brass, Gypsy accordion wizardry, and virtuoso jazz chops make Slavic Soul Party! (SSP) NYC’s official #1 brass band for BalkanSoul GypsyFunk. Slavic Soul Party! has created an acoustic mash-up of Balkan and Gypsy sounds with North American music, weaving the gospel, techno, funk, dub, jazz, and Latin influences of New York’s neighborhoods seamlessly into a Balkan brass setting. SSP’s music has won the ear of fans and musicians on both sides of the Atlantic, and their tunes have been learned by Serbian brass stars Boban Markovic Orkestar and New Orleans funk sensations Galactic, among others. In addition to touring throughout the US and Europe, Slavic Soul Party! holds down a residency every Tuesday in Brooklyn which has become a destination for music fans from around the world. One of the hardest working bands in New York, SSP plays nearly 100 times a year in North America, Europe, Africa and beyond. They have performed at Babylon (Istanbul) with the Karandila Orkestar, at Irving Plaza (New York City) with Gogol Bordello, on the Warped Tour (US), in Carnegie Hall, in Sing Sing prison, and in virtually every major New York club. The band's fifth cd "Taketron" is on the Barbes Records label & available through Allegro Music distributors. Swingadelic Swingadelic began in 1998 as the neo-swing movement was cresting. Upright bassist Dave Post gathered his jazz & blues playing friends together to play engagements at New York City's Supper Club, Swing 46 and Windows On The World, the former restaurant atop of the World Trade Center. As the swing scene waned the band was able to turn to swing dance groups, concerts, festivals, schools and private engagements to keep active. The band plays about 100 dates per year and has traveled from Maine to Atlanta. 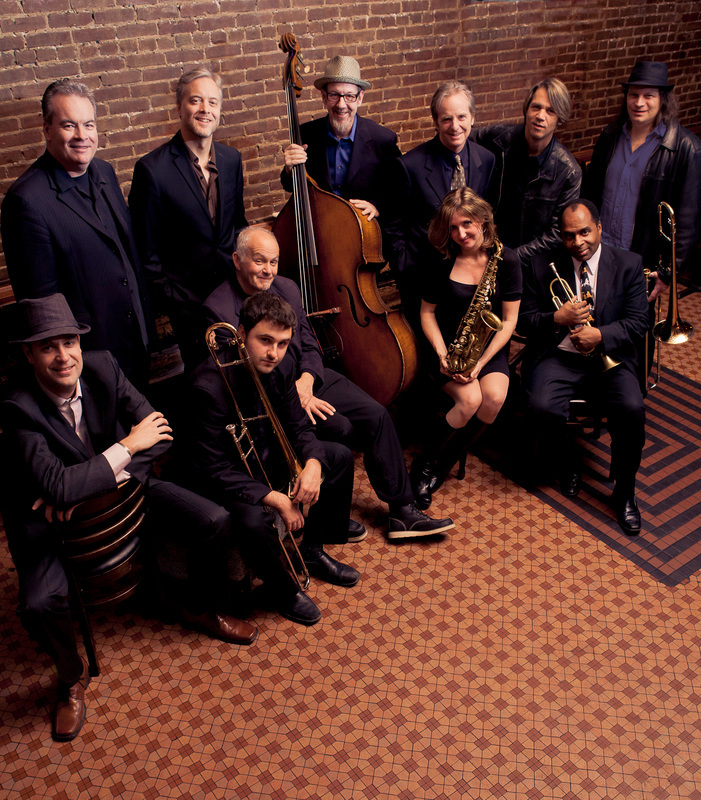 Swingadelic has a residency at Swing 46 in NYC where it performs every Monday as a ten piece "little big band." The group often plays for many regional Swing Dance Societies and performs as a quintet doing a Duke Ellington program in Hudson County schools. 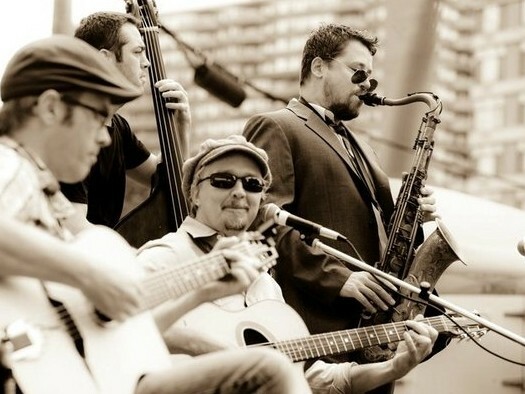 Swingadelic has six CD's and has been recording for the ZOHO Music label since 2011. Their newest ZOHO release (May 2013) is called "Toussaintville" a collection of songs written by legendary New Orleans piano player, songwriter, producer & arranger Allen Toussaint. From the late 50's through the mid-70's he had his hand in hundreds of hits and chart entries by many popular artists and at age 75 (January 11, 2013) is still knocking them out.